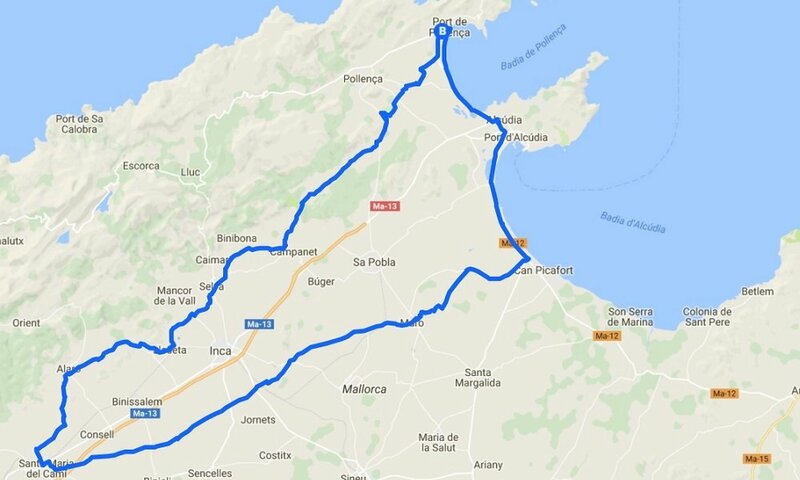 If you need some kilometers and train your endurance, you should not miss to ride this route. Avoid the main roads with huge traffic and enjoy the quiet cycling routes in the countryside of Mallorca. More or less flat route with couple of small hills in 105km long. You will cycle through plenty of small villages where you can always make a break.